Over the past decade the rate of female participation in skateboarding has skyrocketed. Female skaters have moved their way from the fringe of the skate scene and are now taking the spotlight. Due to the hard work of a number of female forward skate clubs, organizations, and crews, the world of skateboarding is no longer an old boys club. Although female skaters are nothing new, the resilience of female pioneers like Elissa Steamer, Cara-Beth Burnside and Mimi Knoop paved the way for a new breed of female skater and sponsors and competitions are taking notice. Currently, several international competitive skateboard events are among the few in professional sport to provide an equal purse for both men and women. Mega-brands such as Vans, Adidas, Nike are placing women at the front of their campaigns and there are new role models for girls looking to start skating. 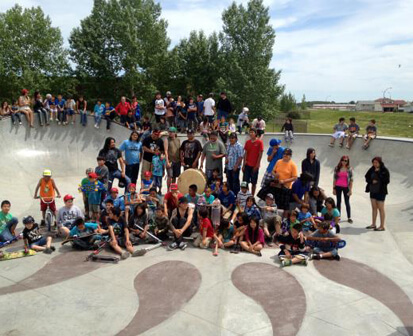 Although much progress has occurred, it is crucial that we all continue to work at ensuring skateparks are inclusive spaces for all wishing to participate. 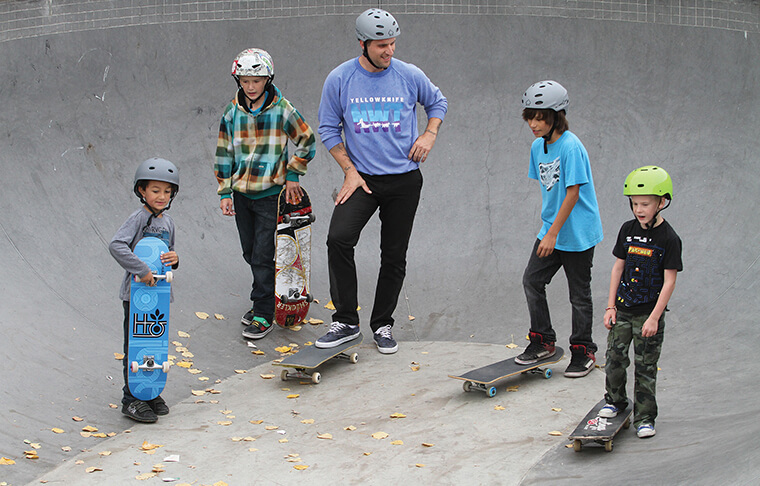 Countless groups such as 100% Skate Club (Calgary), Skate Like A Girl (Seattle) and Babes Brigade (Toronto) have created safe spaces for girls to not only participate in but to thrive in these dynamic public spaces. “The greatest reward is hearing how the girls are affected by skateboarding. You see the girls making friends and now, all of a sudden, these teenage girls that were maybe struggling can share something in common and forge friendships that could last a lifetime.” – Erica Jacobs, 100% Skate Club. If your community is looking for ways to encourage female participation at your skatepark, check out the groups above or get in touch with us and we’ll will happily connect you with some of the many leaders paving the way across the continent.